Have your US Mail sent to our Mailbox address that we assigned you, and we’ll scan them for you with no lost time or effort. We process large volumes, and bulky, single-sided, and bound materials are no problem. We can include a copy of the envelope and a time stamp so you have a full record of every invoice, application, payment, or brief. We send the files in PDF format straight to your desktop. These are the tools you need to build a seamless workflow, without ever touching a single piece of US Mail. Plans start as low as $99.95 / Year. 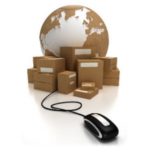 Cost Savings, no need to ship or mail junk mail and spam. Affordable Rate that is cost nutral. (*) Additional Volume Rate is $0.65 per page.